Rubus flagellaris.Matthew L. Wagner.Robert W. Freckmann Herbarium.U. Wisconsin at Stevens Point.wisplants.uwsp.edu (Accessed 7/2014). 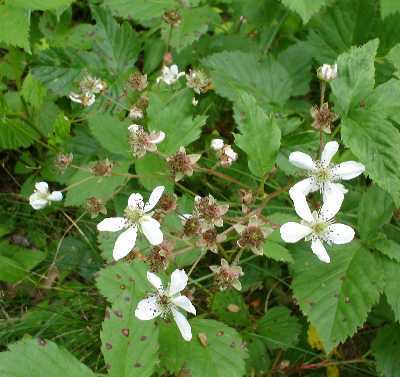 Rubus flagellaris is a low, colonial shrub, arching and creeping along ground, rooting at stem tips, not climbing, thorns small, curved, base expanded. 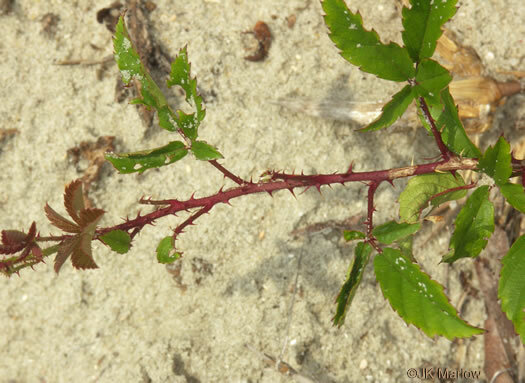 Leaves palmately compound, of flowering stems on present years growth 3-parted, leaflets toothed, terminal leaflet egg-shaped, tip pointed, base blunt to slightly lobed. Flowers white, ca 2 cm, 1-5, flowering stems leafy except near top, May-June. 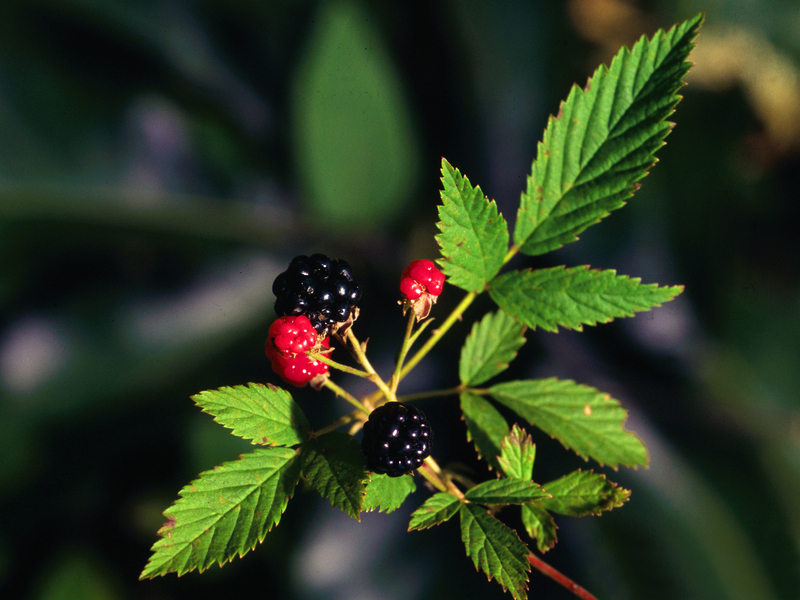 Fruit fleshy, black, multiple 1-seeded drupes, separating from stem with receptacle, each fruitlet with a seed, July-Sept.; fruit eaten by birds and mammals, seeds eaten by small rodents. Habitat: Open upland areas, often on poor, gravelly or sandy soil, fill. Notes: Leaves sometimes infected by a bright orange rust, Gymnoconia sp. (Basidiomycotina, order Uredinales) (Agrios 1988)..